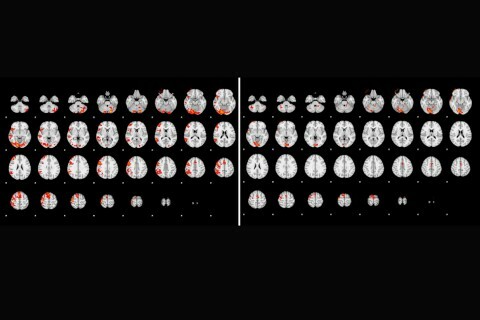 Babies born to mothers whose immune systems had to grapple with a viral assault — even a mild one — have increased risk of brain and central nervous system abnormalities, according to a new study. A USC-led team of researchers examined how the immune systems of pregnant mice (roughly equivalent to human mothers in their first trimester) reacted to a chemical that mimics a viral infection akin to the flu. Levels of tryptophan, an amino acid that activates the immune system, increased, causing the placenta to produce more serotonin, which led to higher concentrations of serotonin in the fetal brain. Previous studies have linked viral-based inflammation during pregnancy and the risk for developmental disorders such as autism, cognitive delay and schizophrenia in offspring, according to the study. Serotonin is very important for fetal brain development and can modulate the way the fetal brain is wired. The study was published in The Journal of Neuroscience on June 1. It looked at fetal axon development, that is the growth of “wires” that are necessary for communication between neurons. The mice in the control group received a saline solution instead of the chemical viral-mimic. The study provides a new molecular pathway to understanding how prenatal insults could program a baby to eventually develop mental diseases. Even mild viral attacks such as the flu or Zika virus, which generally does not require a mother to visit to the doctor’s office, might affect the development of a baby’s central nervous system, said Bonnin, who is based at USC’s Zilkha Neurogenetic Institute. Zika virus was outside the scope of this study, but Bonnin said ongoing research investigates if serotonin has anything to do with Zika virus and its related neurodevelopmental problems. In this study, scientists administered a drug to inhibit the activity of an enzyme that produces serotonin via increased tryptophan levels. They blocked excess serotonin production in the placenta, which appeared to normalize fetal forebrain development. Viral infections and inflammation during pregnancy do not guarantee central nervous system malfunctions in children, Bonnin said. Many times, the health of babies is not impacted. Bonnin referenced another study to explain. The study was supported by the U.S. Department of Defense, the National Institute of Mental Health, the Autism Science Foundation and the Rose Hills Foundation. New postdoctoral program could speed up research and development of immunological treatments. A Keck Medicine of USC-led team of microbiologists has identified previously unknown interactions between critical proteins in the human immune response system. Researcher uses state-of-the-art techniques to assess the brain’s ability to turn sensory information into a motor response. USC Chan Division teams with Rodney and Holly Robinson Peete’s HollyRod Foundation.